Anthony Scaramucci came on "The View" Friday with a plan to take the high road. But, like his time as White House Communications Director, that didn't last very long. The man known as "The Mooch" called out several of his former White House colleagues, including former Chief of Staff Reince Priebus, one time chief strategist Steve Bannon, and departed Press Secretary Sean Spicer — the same people he profanely ranted about in a shocking summertime interview with The New Yorker that led to his ouster. Scaramucci at first declined to hit back after watching a video played on the show of Spicer criticizing his qualifications. Scaramucci said there already was too much "Republican on Republican crime." On Bannon: Scaramucci said Bannon exhibited white nationalist tendencies when asked by "The View" co-hosts about the former top White House aide, who left the administration in late August. "Is he a white nationalist?" Scaramucci asked and answered himself: "He has those tendencies." "If you read Breitbart, there's a lot of that white nationalist economic fervor," he added referring to the website that Bannon runs. While Scaramucci praised Bannon as a "great speechwriter," he listed his worst quality as having "a little bit of a Messianic complex." On Spicer: "I was calling him 'Liar Spice'," Scaramucci said. 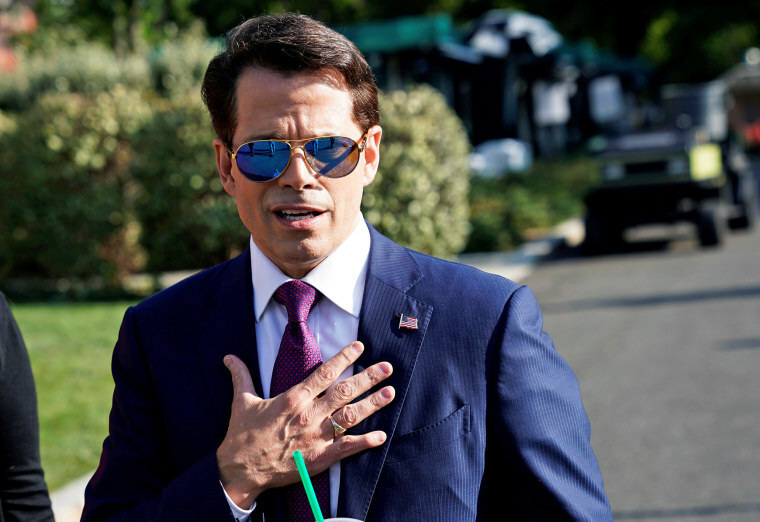 Though Scaramucci was not calling him "Melissa McCarthy" behind his back, that didn't mean others weren't knocking Spicer for her portrayal of him on Saturday Night Live. On Priebus: Aside being labled by Scaramucci as one of the most "unlikable" staffers in the White House, it was clear their relationship was a complicated one. The men got along when Scaramucci was a donor to the Republican National Committee, Scaramucci said, but once he was designated for a White House job "then the food fight started. "[Priebus] did not want me in the administration," he added. Scaramucci also jabbed at unnamed "guys" that "weren't full believers on the whole Trump Train." None of these people — Scaramucci included — are still in the White House now, the result of a summer of infighting and a quest to tamp down the leaks that plagued the Trump administration from the outset. Scaramucci said the leaking has declined and he credits Communications Director Hope Hicks and Chief of Staff John Kelly for that — to a point. "Some of it is also the eliminations of leakers," he said. "How about that?"